Offering an outdoor swimming pool, Gondola is located in the Benissa Coast district in Benissa. This self-catered villa has a garden and grill facilities. This air-conditioned villa features 2 bedrooms, a satellite flat-screen TV, a dining area, and a kitchen with a dishwasher and an oven. The villa also has a bathroom with a shower. The villa has a terrace. If you would like to discover the area, cycling is possible nearby. Benidorm is 18 miles from Gondola, while Calpe is 2.9 miles from the property. 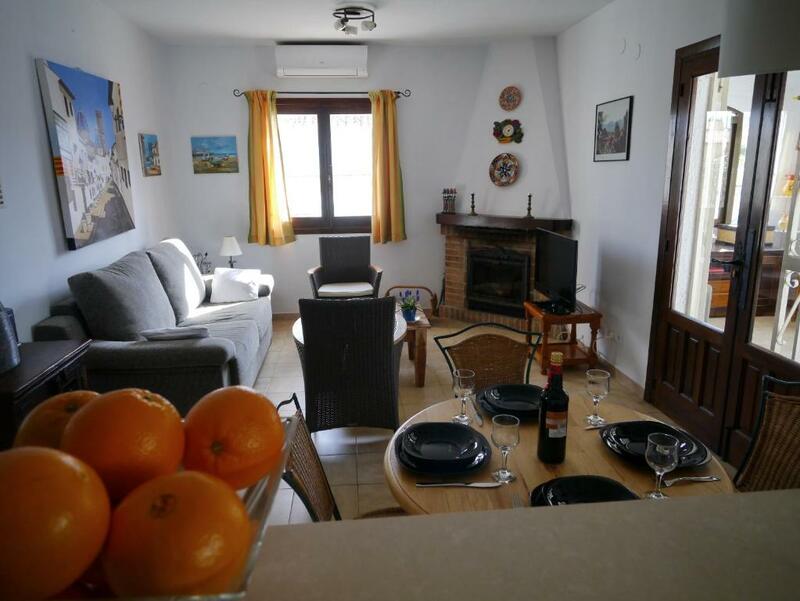 The nearest airport is Alicante Airport, 50 miles from the property. When would you like to stay at Gondola? This villa features a seating area, barbecue and air conditioning. 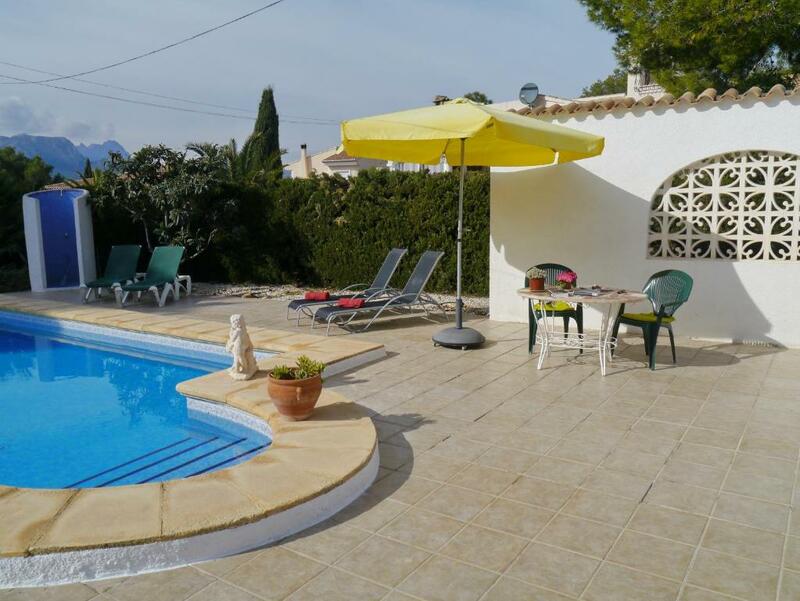 Classic villa with private pool in Benissa, on the Costa Blanca, Spain for 4 persons. The villa has 2 bedrooms and 1 bathroom, air conditioned living/dining room, satellite flat-screen television, fireplace in living room (wood) and washing machine located in a well equipped open kitchen with electric hob, microwave, dishwasher, refrigerator-freezer, coffee machine, electric kettle and toaster. This villa offers free WiFi and free bedlinen and towels. 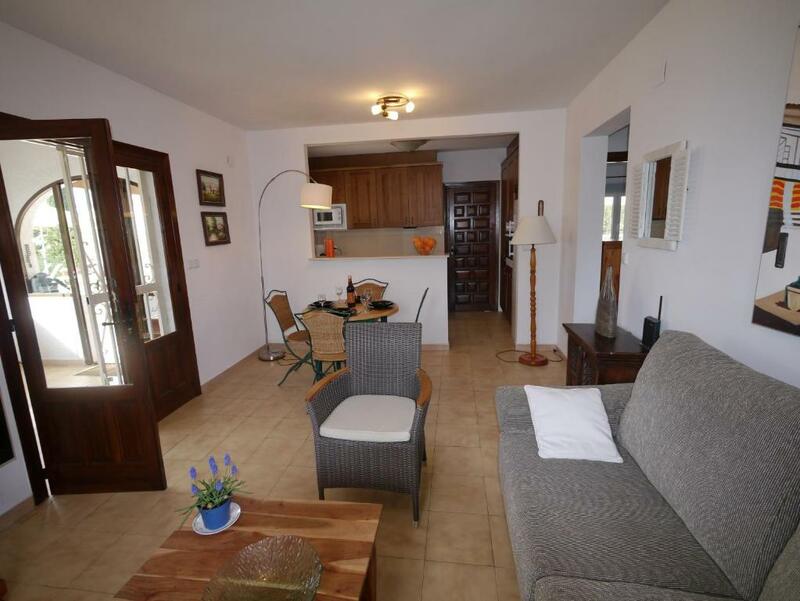 An ideal villa for lovely holidays. 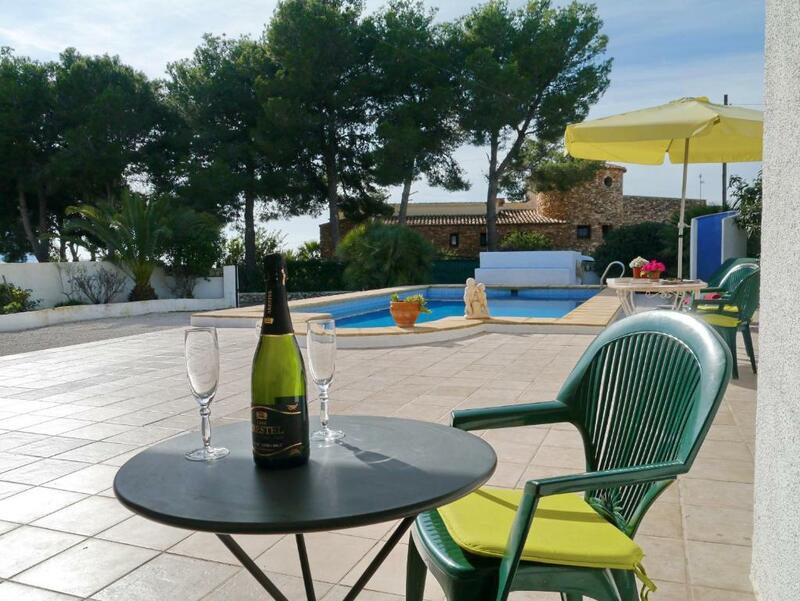 We are a family company working for over 19 years in holiday rentals at the Costa Blanca. It´s very important to us to offer our customers a personal and individual service. On the day of your arrival we will welcome you in our office which is located close to our villas. There, you will receive the coordinates as well as a short description of the villa you have rented, thus you are only a few minutes away to start your relaxing holidays. The villa is situated in a beautiful coastal and residential area. The closest sand beach is a beautiful little beach called 'La Fustera' which is only 1300 metres away (walking distance). 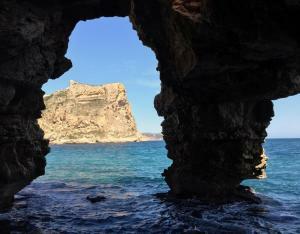 The closest rock beach is the Cala Les Bassetes at just 1200 metres from the villa. The closest big sand beach is the Platja La Fossa (Calpe) which is only 2.9 km away (4 minutes driving). There are several rock and sand beaches to visit in this lovely area. Calpe is the closest town, where you can visit the 'Ifach Rock' (nice walk and beautiful views) and enjoy the long beautiful sand beaches and promenades. The port area is well known for its restaurants (specialized in rices & seafood). Moraira is the second nearest town. There you can visit the lovely castle, the port, walk along the promenade and enjoy visiting the pretty old town. House Rules Gondola takes special requests – add in the next step! Gondola accepts these cards and reserves the right to temporarily hold an amount prior to arrival. Please inform Gondola of your expected arrival time in advance. You can use the Special Requests box when booking, or contact the property directly using the contact details in your confirmation. We need at least 5 reviews before we can calculate a review score. If you book and review your stay, you can help Gondola meet this goal.